As a homeowner, you rely on a set of devices to get you through the day. Your refrigerator, one of the most frequently used appliances, plays an important role in your home, and when it malfunctions, it can leave you with piles of spoiled food. One of the most common issues is when the freezer section remains cold, but the refrigerator is warm. Luckily, with the help of a reliable refrigerator repair service, this problem can be handled quickly and easily. The first step to fixing a cooling problem is to determine the cause. One simple explanation is that there’s a wiring problem, which can be remedied with minimal refrigerator repairs. More severe problems may include a malfunctioning evaporator fan motor, which can overheat quickly and shut off to avoid combustion. 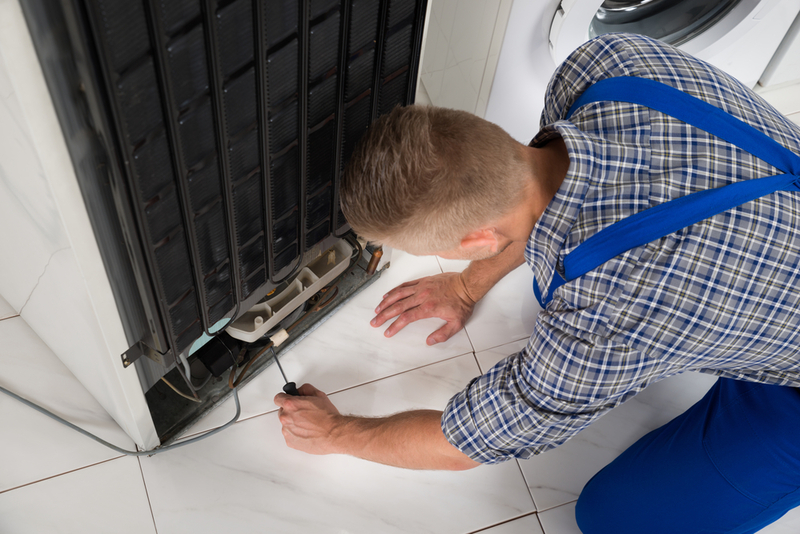 The condenser fan may also be to blame, as frost buildup can block air flow and prevent the fan from turning on. A warm fridge will spoil food, causing you to spend more money on replacement contents as well as the cost of the refrigerator repair itself. Before you let your food go to waste, bring in a team of professionals to take a look at the unit. For a small service fee, a reputable contractor will help you decide whether you need a full fridge replacement or if you can get away with a few simple tweaks. The age of the unit will likely come into play, as older units are usually better off replaced than patched up only to last a few more months. If you’re a homeowner and need refrigerator repairs to preserve your food, call the team at Just Appliance Repair. Their extensive knowledge of both commercial and residential equipment ensures your appliances receive quality care. This company is currently serving in: Poughkeepsie, Mid-Lower Hudson Valley, Orange, Ulster, Dutchess, Putnam, Sullivan, Westchester, Rockland, northern New Jersey, and parts of Connecticut. For more information, visit them online or give them a call today at (845) 243-7052.